Sondrea’s Signature Styles Salon and Spa (“company”, “we”, “us”, or “or”) is committed to protecting the privacy of our customers and visitors. Personal information received by sondreassignature.com or shop.sondreassignature.com is not shared with or sold to third parties. If you have any questions or concerns about our policy, or our practices with regards to your personal information, please contact us at contact@sondreassignature.com. Information is collected during site visits and during the purchase process. Site visit information is used only in aggregate form to help enhance the overall sondreassignature.com experience. Purchase information is maintained in account form as required to engage in secure consumer friendly e-commerce on shop.sondreassignature.com. Users who purchase products on shop.sondreassignature.com may receive promotional emails. Users may opt-out of our mailing list during the order process. If a user does not opt-out during the order process they may log into their account and update their preferences. If a user does not create an account during their order they may opt-out of our mailing list by using the supplied link on any of our emails. Furthermore, the user may create an account using their email address and opt-out from their account page. Users of shop.sondreassignature.com may receive promotional emails from Shop Sondrea's Signature Styles Salon and Spa if they register for an account without purchasing a product. Users may opt-out of our mailing list for specials and promotions during the registration process. If a user does not opt-out during the registration process, they may log into their account and update their preferences. Users may change their address or other personal information in their account. Users may edit any of their personal information by logging in and following the "edit this information" links in their account. If an account is not created during a purchase, a user may choose to create one later with the same email address used for the purchase. sondreassignature.com utilizes cookies to help optimize and customize the user experience. Cookies enhance efficiency and allow us to recognize returning visitors. sondreassignature.com does provide links to other web sites but is not responsible for the privacy practices or content of these other sites. If we plan to utilize users' personally identifiable information in a manner different from that stated at the time of collection, we will notify users by posting a prominent notice on our Web site for 30 days. Sondrea’s Signature Styles Salon and Spa grants you a personal, limited, non-exclusive and revocable license to access and make personal use of this site. However, you may not download from (other than page caching) or modify the site, except with express written consent of Sondrea’s Signature Styles Salon and Spa. This license does not include any resale or commercial use of this site or its contents; any collection and use of any product listings, descriptions, or prices; any derivative use of this site or its contents; any downloading or copying of account information for the benefit of another merchant; or any use of data mining, robots, or similar data gathering and extraction tools. This site or any portion of this site may not be reproduced, duplicated, copied, sold, resold, visited, or otherwise exploited for any commercial purpose without the express written consent of Sondrea’s Signature Styles Salon and Spa. You may not frame or utilize framing techniques to enclose any trademark, logo, or other proprietary information (including images, text, page layout, or form) of sondreassignature.com and our affiliates without express written consent. You may not use any meta tags, meta names or any other "hidden text" utilizing Sondrea’s Signature Styles Salon and Spa name or trademarks without the express written consent of Sondrea’s Signature Styles Salon and Spa. Any unauthorized use terminates the permission or license granted by Sondrea’s Signature Styles Salon and Spa. When you visit sondreassignature.com or send e-mails to us, you are communicating with us electronically and consent to receive communications from us electronically. We will communicate with you by e-mail and you agree that all agreements, notices, disclosures and other communications that we provide to you electronically satisfy any legal requirement that such communications be in writing. sondreassignature.com attempts to be as accurate as possible in its product descriptions; however, sondreassignature.com and Sondrea’s Signature Styles Salon and Spa do not warrant that product descriptions or other content of this site is accurate, reliable, complete, error-free or current. If a product offered by sondreassignature.com itself is not as described, your sole remedy is to return it in its unused condition. If you use this site, you are responsible for maintaining the confidentiality of your account and password and for restricting access to your computer, and you agree to accept responsibility for all activities that occur under your account or password. Shop.sondreassignature.com does sell products for children, but it sells them to adult consumers who can purchase with a credit card. If you are under 18, you may use shop.sondreassignature.com to purchase only with involvement of a parent or guardian. Sondrea’s Signature Styles Salon and Spa, and its affiliates reserve the right to refuse service, terminate accounts, remove or edit content, or cancel orders at their sole discretion. Any dispute relating in any way to your visit to sondreassignature.com or to products you purchase through sondreassignature.com shall be submitted to confidential arbitration in Austin, Texas, except that, to the extent you have in any manner violated or threatened to violate Sondrea’s Signature Styles Salon and Spa, intellectual property rights, Sondrea’s Signature Styles Salon and Spa may seek injunctive or other appropriate relief in any State or federal court in the State of Texas, and you consent to exclusive jurisdiction and venue in such courts. Arbitration under this agreement shall be conducted under the rules then prevailing of the American Arbitration Association. The arbitrator's award shall be binding and may be entered as a judgment in any court of competent jurisdiction. To the fullest extent permitted by applicable law, no arbitration under this Agreement shall be joined to an arbitration involving any other party subject to this Agreement, whether through class arbitration proceedings or otherwise. Reference herein to any specific commercial product, process, or service by trade name, trademark, manufacturer, or otherwise, does not necessarily constitute or imply endorsement, recommendation, or favoring by Sondrea’s Signature Styles Salon and Spa. The views and opinions of authors expressed herein do not necessarily state or reflect those of Sondrea’s Signature Styles Salon and Spa, and shall not be used for advertising or product endorsement purposes. All material on this website is copyrighted by Sondrea’s Signature Styles Salon and Spa, except for some material that is copyrighted by others and used here by permission. Copyrighted material may not be copied, reproduced or otherwise used for commercial purposes without the written permission of the copyright holder. This site also contains some trademarks, which may not be appropriated by persons other than the trademark owner and may not be used contrary to trademark law. If you wish to request permission to use materials in a manner otherwise prohibited herein, please send an email to: contact@sondreassignature.com or contact us via telephone at (915) 493-6483. 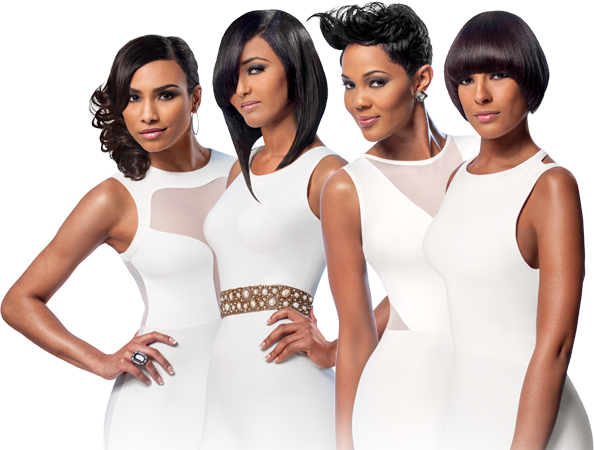 THIS SITE IS PROVIDED BY Sondrea’s Signature Styles Salon and Spa, ON AN "AS IS" AND "AS AVAILABLE" BASIS. Sondrea’s Signature Styles Salon and Spa MAKES NO REPRESENTATIONS OR WARRANTIES OF ANY KIND, EXPRESS OR IMPLIED, AS TO THE OPERATION OF THIS SITE OR THE INFORMATION, CONTENT, MATERIALS, OR PRODUCTS INCLUDED ON THIS SITE. YOU EXPRESSLY AGREE THAT YOUR USE OF THIS SITE IS AT YOUR SOLE RISK. TO THE FULL EXTENT PERMISSIBLE BY APPLICABLE LAW, Sondrea’s Signature Styles Salon and Spa DISCLAIMS ALL WARRANTIES, EXPRESS OR IMPLIED, INCLUDING, BUT NOT LIMITED TO, IMPLIED WARRANTIES OF MERCHANTABILITY AND FITNESS FOR A PARTICULAR PURPOSE. SONDREA'S SIGNATURES STYLES SALON AND SPA, DOES NOT WARRANT THAT THIS SITE, ITS SERVERS, OR E-MAIL SENT FROM SHOP SONDREA'S SIGNATURE SALON AND SPA OR SONDREASSIGNATURE.COM ARE FREE OF VIRUSES OR OTHER HARMFUL COMPONENTS. SONDREA'S SIGNATURES STYLES SALON AND SPA WILL NOT BE LIABLE FOR ANY DAMAGES OF ANY KIND ARISING FROM THE USE OF THIS SITE, INCLUDING, BUT NOT LIMITED TO DIRECT, INDIRECT, INCIDENTAL, PUNITIVE, AND CONSEQUENTIAL DAMAGES. CERTAIN STATE LAWS DO NOT ALLOW LIMITATIONS ON IMPLIED WARRANTIES OR THE EXCLUSION OR LIMITATION OF CERTAIN DAMAGES. IF THESE LAWS APPLY TO YOU, SOME OR ALL OF THE ABOVE DISCLAIMERS, EXCLUSIONS, OR LIMITATIONS MAY NOT APPLY TO YOU, ENTITLING YOU TO ADDITIONAL RIGHTS. Access to, and use of, the Sondrea's Signature Styles Salon and Spa website and all services and content thereon (collectively, the Sondrea's Signature Styles Salon and Spa Site) is subject to compliance with all notices, terms, and conditions (collectively, the "Terms") set forth below and elsewhere on the Sondrea's Signature Styles Salon and Spa website. We reserve the right to amend the Terms at any time, with or without notice, so you should review the Terms carefully from time to time. By using the Site, you agree to abide by all of the Terms and all subsequent revisions to the Terms. All content on the Sondrea's Signature Styles Salon and Spa Site website, including but not limited to text, images, artwork, graphics, logos, icons, is the property of Sondrea's Signature Styles Salon and Spa or third parties and is protected by United States copyright laws. Additionally, the compilation (meaning the collection, arrangement, and assembly) of such content is the property of Sondrea's Signature Styles Salon and Spa and is protected by United States copyright laws. You may download such content to a computer and view it for personal, non-commercial use only, without alterations, provided that you do not remove any notices concerning copyrights, trademarks, or other intellectual property rights, and provided that you abide by all Terms. Any other use, reproduction, modification, distribution, transmission, republication, display, or performance of such content is strictly prohibited. We at Sondrea's Signature Styles Salon and Spa respect the rights of copyright owners. Unauthorized copying, distribution, modification, public display, or public performance of copyrighted works is an infringement of copyright holders' rights. You acknowledge and agree that, as a condition precedent to your use of the Sondrea's Signature Styles Salon and Spa Site, you may not infringe the copyrights (nor any other intellectual property rights) of others in any way. Pursuant to the Digital Millennium Copyright Act of 1998 (the "DMCA"), Sondrea's Signature Styles Salon and Spa will attempt to respond expeditiously to all claims of copyright infringement, provided that such claims comply with the requirements of the DMCA. Those requirements are as follows: (a) a physical or electronic signature of a person authorized to act on behalf of the owner of an exclusive right that is allegedly infringed; (b) identification of the copyrighted work claimed to have been infringed (or if multiple copyrighted works located on the Sondrea's Signature Styles Salon and Spa Site are covered by a single notification, a representative list of such works); (c) identification of the material that is claimed to be infringing or the subject of infringing activity, and information reasonably sufficient to allow Sondrea's Signature Styles Salon and Spa to locate the material on the Sondrea's Signature Styles Salon and Spa site; (d) the name, address, telephone number, and email address (if available) of the complaining party; (e) a statement that the complaining party has a good faith belief that use of the material in the manner complained of is not authorized by the copyright owner, its agent, or the law; and (f) a statement that the information in the notification is accurate and, under penalty of perjury, that the complaining party is authorized to act on behalf of the owner of an exclusive right that is allegedly infringed. We do not knowingly solicit data from or market to children under 18 years of age. By using the Sites or Apps, you represent that you are at least 18 or that you are the parent or guardian of such a minor and consent to such minor dependent’s use of the Sites or Apps. If we learn that personal information from users less than 18 years of age has been collected, we will deactivate the account and take reasonable measures to promptly delete such data from our records. If you become aware of any data we have collected from children under age 18, please contact us at contact@sondreassignature.com. Sondrea’s Signature Styles Salon and Spa may run promotions on our websites that require submission of personally identifiable information by participants. We may use the information collected in the aggregate so we can determine, for example, how many visitors to our website participated in the promotion. Promotions are subject to change without notice. Sondrea’s Signature Styles Salon and Spa makes no representations or warranties regarding the condition or functionality of this website, its suitability for use, or that this web service will be uninterrupted or error-free. By using an Sondrea’s Signature Styles Salon and Spa website, you assume all risks associated with the use of the site, including any risk to your computer, software or data being damaged by any virus, software, or any other file that might be transmitted or activated via an Sondrea’s Signature Styles Salon and Spa website or your access to it. Sondrea’s Signature Styles Salon and Spa shall not be liable for any damages of any kind (general, special, incidental or consequential damages, including, without limitation, lost revenues or lost profits) resulting from the use or misuse of the information contained in an Sondrea’s Signature Styles Salon and Spa website.